/Personalizing Your Items /Can I make changes to my design? 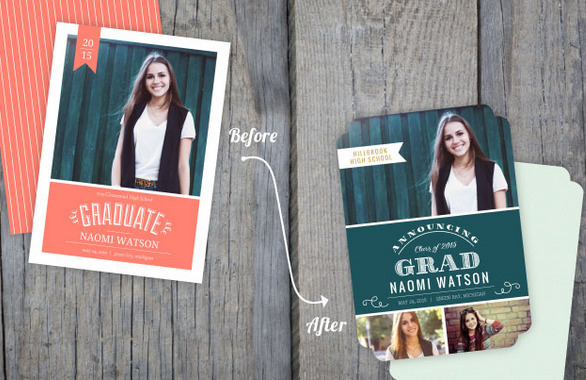 Yes, nearly every aspect of our cards and invitations are fully customizable. If you see something you want to change on one of our templates, you can do so in the Design Center. From changing colors, fonts, and backgrounds, to adding photos and custom wording, or giving your card a unique trim or shape with one of our die-cut options, customization options are limitless in the PurpleTrail Design Center. You can also choose to “Duplicate Design,” which will create an exact copy of your previous design so you can have two different versions of the same card.